A Porsche for £10,000 - What Can You Get for Your Budget? A Porsche for £10,000 – what can you get for your budget? Porsche may be one of the most exclusive brands in the automotive world, but fortunately you don’t need a Premier League footballer’s salary to join the owners’ club. In fact, the excellent value now available on the used market means you can pick up one of Stuttgart’s finest for less than the cost of a new Kia Rio. Of course, there are always risks when buying a second hand Porsche and you should remember that price and value don’t always mean the same thing. But take a sensible approach to finding the right car and you could pick up a sub-£10,000 bargain. Whether you choose to buy from a dealer, someone you know, a private seller you found through Car and Classic or AutoTrader, or on eBay, you need to make sure the car comes with a full service history and that it has been serviced by a Porsche specialist and/or a main dealer. It is also a good idea to ask for the invoice for the last service, as this will allow you to see the list of advisories and check whether the recommended work has been completed. It is well worth getting an expert to assess the condition of the Porsche before you part with your cash, even if you are buying it as a refurb project. At Revolution Porsche, we offer a Pre-Purchase Inspection service at our Brighouse workshop, which will give you peace of mind that you are making a wise buy. It now looks certain that the first generation of water-cooled 911s will never be regarded as a true Porsche classic by the purists, but that is good news for bargain hunters. You won’t have to look very hard to find a choice of 996 3.4 Carreras under £10,000, but their condition can vary hugely and there are some important checks to make before putting in an offer. As most of the 996s available for less than £10,000 are from the 1990s, you should not need to worry too much about the dreaded IMS bearing failure, but if you do locate a more recent one make sure you find out whether it has had the retrofit solution. 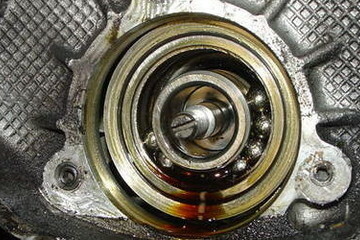 The failure rate of the factory-fitted IMS bearing on models manufactured between 2000 and 2005 is reported to be as high as 8% (taken from sources and research done elsewhere) and as failure can result in a replacement engine being required, you’ll want reassurance that a large repair bill isn’t imminent. It is also sensible to organise a borescope inspection – a service offered by Revolution Porsche – before committing to buy a 996, to check for the early signs of cracked cylinder heads and liners. Whilst the issue is relatively rare (although it is much more common on the early 3.4 engines than the later 3.6 units), the repair costs when it does happen, can be high. One other thing to remember is that an attractive price may be a sign that some maintenance work needs to be undertaken and the owner has decided to sell rather than pay for it. Control arms and ignition coil packs typically need replacing every few years, while the clutch and brakes will also need replacing at some point in the car’s life. Our Porsche 996 buyer’s guide will give you more details about what to look for. Investing in a pre-purchase inspection by a Porsche specialist will give you an idea of the level of maintenance costs you are likely to face in the first year of owning the 996. You can then use that information to decide how much to offer for the car. It is possible to buy a Boxster 986 in good condition for less than £7,000. 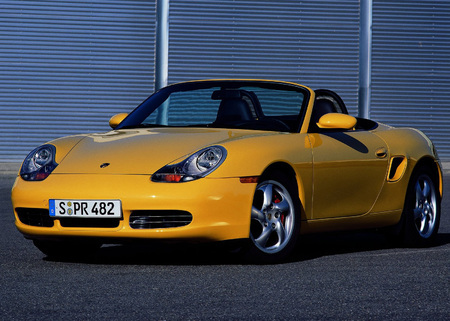 Buying a used Boxster 986 is one of the cheapest ways to become a Porsche owner and to enjoy some fun motoring. A £5,000 budget will give you a big choice of original 2.5-litre models, while there are plenty of good 2.7 and 3.2-litre models (made between 2000 and 2003) available for less than £7,000. The full £10,000 budget will be enough to get you a facelift 986. The 986 has proved to be a highly reliable car and still has an MOT pass rate of 78%. However, there are a handful of issues that could prove very expensive if you unknowingly inherit them from the seller. Failure of the IMS, which can cause catastrophic engine failure, is the most notorious problem and one that you need to have checked by an expert before committing to a purchase. A highly effective retrofit solution is available and the best case scenario is that the car has already had the work carried out as a preventative measure. If not, ask an independent Porsche specialist for some advice about whether the car needs it. It is also worth checking for oil leaks, which could be a sign of rear main oil seal (RMS) failure. This is expensive to repair (approx. £300 on a manual car), as the gearbox needs to be removed to allow a replacement to be fitted, but in some circumstances the work can be postponed until a bigger job needs doing. Again, ask a Porsche expert to assess the severity of the problem. Cracked coolant tanks are a common problem on the 986, while the coolant radiators and air conditioning condensers are prone to corrosion unless the radiator ducts are cleaned out regularly. Both problems can be expensive to repair. In general, the 986 is a great weekend car and also practical enough for everyday use. Get it checked over for major problems before you buy and you can look forward to some enjoyable driving in an eye-catching motor. With a budget of £10,000 you could also get an early Boxster 987 2.7 or with a bit of negotiating, a high-mileage 2005 987 3.2. You can find out more about buying a used 987 here. Used Porsche 944s can be bargains, but their condition needs careful checking. The 944, manufactured between 1982 and 1991, has never been as loved as much as other Porsche models, so has not held its value at all well. While that means you can pick up a Turbo for well under £10,000 or a normally-aspirated model for less than £5,000, it also means that many have been owned by people who aren’t real Porsche enthusiasts and haven’t bothered to have them serviced by specialists. The list of potential problems with a 944 is huge – despite its healthy 60.8% MOT pass rate – making a full service record a must before you even consider buying. Timing belt issues are common (and can lead to expensive repairs), as are engine mount problems, water pump failures and power steering fluid leaks, among other things. It really pays to have an expert inspection before parting with cash for a 944. Also have a close look for accident damage, evidence that the Porsche has been used for track days and of extensive modifications. These are often signs that the car has not been well looked after. Having said all that, find a 944 in good condition and you could pick up a car that is great to drive for a bargain price. 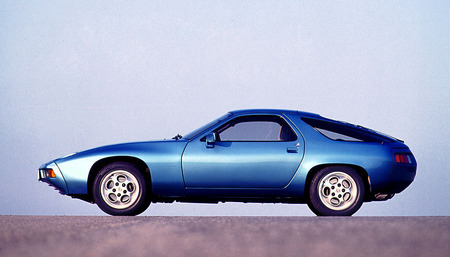 The Porsche 928 benefited from exceptional build quality. The prices of Porsche 928s range from £5,000 to in excess of £50,000, and it can be difficult to find a good condition example for a budget price; but it is certainly worth looking, as this is still a superb car. Any 928 with an asking price of below £10,000 is likely to be 30 years old, so even though the build quality was exceptional, you can’t realistically expect it to be entirely free of issues. Electrical problems are common, but relatively easy for a specialist to diagnose and fix, while some owners have also experienced cambelt failure, crank thrust bearing failure and even engine fires related to the fuel injection system. However, most of those problems could have been avoided if the car had been properly maintained throughout its life. It is particularly important to check the service history and invoices before buying a 928. If you can find one with a history of being maintained by specialists since new, it is worth paying a little bit extra for it. 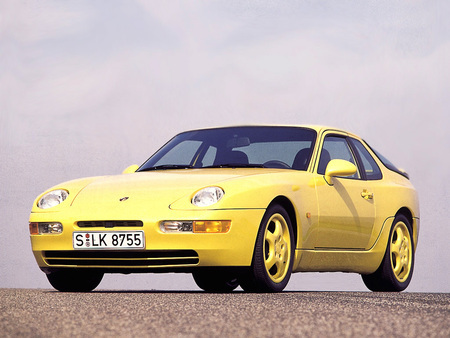 Porsche 968s at budget prices can be difficult to find. The 944’s successor had a limited lifespan, with fewer than 13,000 manufactured during a production run that lasted from 1992 to 1995. Should the 968 be your preferred Porsche bargain buy, you’ll probably have to wait to find one with an asking price within your budget or be prepared to negotiate very hard with a private seller – but it is possible to pick one up for under £9,000. While the 968 has proved to be a largely reliable car, there are some potentially expensive issues to look out for. Power steering pump problems are common, as are rotting head gaskets and oil leaks, while some cars have also suffered failed pinion bearings. You should also check for signs of worn belts, belt gears, clutches and door hinge pins, as well as for water ingress from seals in the tailgate and rear lights. 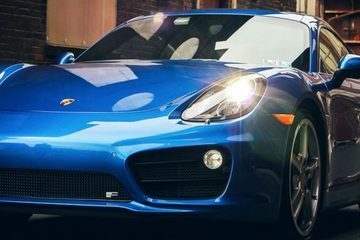 In addition to the likelihood of imminent repair bills, they may also be a sign that the car has not been properly maintained, as a good Porsche specialist would be aware of these issues and have recommended early repairs. 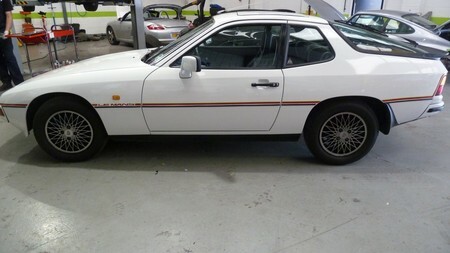 A Porsche 924 in good condition is great value for money. 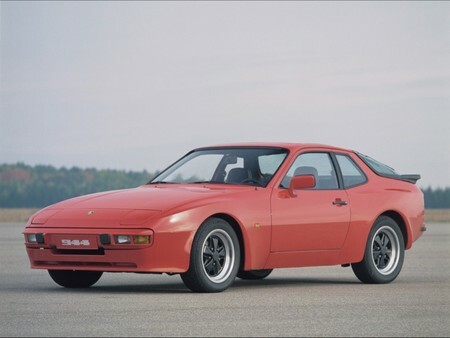 If purchase price is your main concern, a Porsche 924 is likely to be your number one choice. You can find decent 2.0-litre models for less than £3,000 and an S or a Turbo for under £8,000 – although the rare Carrera GT fetches upwards of £35,000 at auction. Even the latest 924s are now 27 years old, so you need to have a reasonable attitude when buying. After all, you can’t expect perfection from a sub-£3,000 car of that age. There are, however, some issues to be aware of and to factor into the total cost of ownership. Problems with the electrics are very common, as are leaking fuel lines, radiator damage and worn engine mounts. All of those are fixable, but beware of any 924 that burns oil once the engine is warm, as it is often a sign that the engine is on its last legs. Don’t worry too much about the interior, as unusually for Porsche it wasn’t great quality to start with. Cracked dashboards and split seams in the front seats are not unusual, and as repairing them adds very little in terms of value, many owners don’t bother. 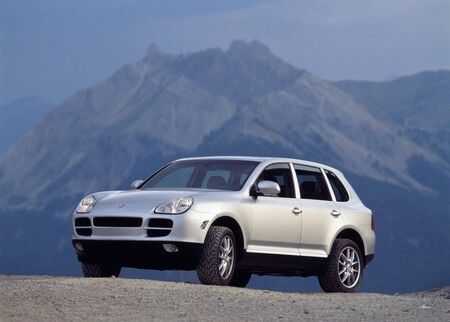 The first generation Cayenne is a great family car. If you need the practicality of an SUV and want the cachet of a top marque, a first generation Porsche Cayenne is the obvious choice. For the price of a new Dacia Duster, you can have your pick of pre-2007 3.2 V6 and 4.5 V8 S models. The Cayenne boasts outstanding handling, ample legroom and luggage space, enough power to tow caravans and horseboxes, and genuine off-road ability. They are also highly reliable and if the one you buy has been properly maintained by trained Porsche technicians, it should cause you no problems at all. Some 4.5 V8 S owners suffered problems with bore scoring which eventually required an engine replacement, so it is sensible to have a borescope inspection carried out before purchasing. We regularly undertake borescope inspections at the Revolution Porsche workshop in Brighouse, giving our customers peace of mind that they aren’t buying an expensive problem. Other than that, you’ll just need to check for signs of tyre and brake wear, as all large SUVs are hard on them. Also ask to see the invoices for the replacement brake discs and pads a 4×4 of that age will have had, to make sure Porsche recommended parts were used. 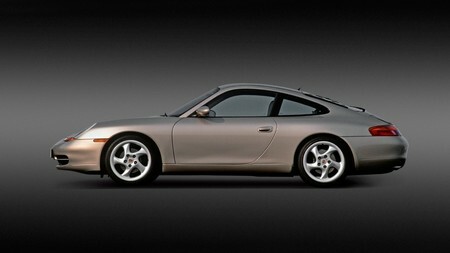 Whatever model of budget Porsche you are thinking of buying, we can help. A Pre-Purchase Inspection at the Revolution Porsche workshop in Brighouse typically costs £150+VAT and includes full visual and diagnostic checks, complete with Rev Ranges, along with a comprehensive car condition report. You can add a borescope inspection to the package for a further £99+VAT. For more information about any of our services or to book a car in, please call us on 01484 717342 or contact us via the website. The pay monthly plan that covers Porsche servicing, MOT and the labour cost of all repairs. We offer great prices for servicing on all Porsche models, from classic to high-performance. Worried About IMS Bearing Problems? The Revolution Porsche team are experts in IMS bearing replacement. Protect your Porsche's radiators, heat exchangers and air-conditioning condensers with stylish Zunsport stainless steel grilles.